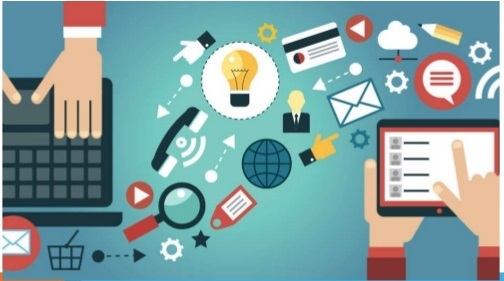 Home / Digital Marketing / 6 online marketing elements which should not be ignored in 2016. We can see a huge constant evolution in online marketing every day. The things which were working for you in the past will not necessarily work today. So what kind of marketing strategy should be planned for the year forward? 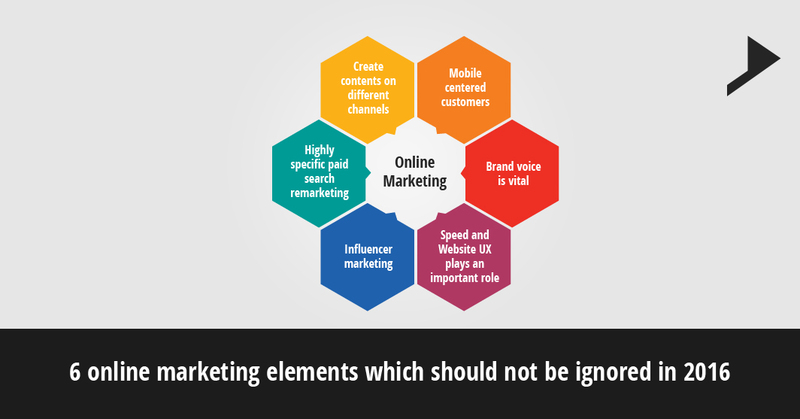 Here are some of the elements which cannot be ignored by anyone while planning an online marketing strategy. Easy means to convey the brand message to your audience is the use of blogs. Now a days everyone has their own blog platforms so you will have to try something different on many other platforms. Creation of a YouTube channel or making your audience engaged through live streaming is the recent trend prevailing in the market. Video content is totally free to be produced. Mobiles cannot be ignored in this competitive world. Previous years there were very few mobile users but these days each and every one is depended on smartphones for their needs. Now a days mobile optimization of your website impacts different aspects of your work: from traffic, visibility and conversions to engagement and sales themselves. So this trending world demands, that the websites should be built by keeping the mobile audience in mind. Calls to action, any forms or the contents should be easily readable and accessible on all the small screens. Today’s customer is not at all interested in getting engaged with generic brand having no brand face. This is a social media age and it demands a face for the brand. You can take an example of John Legere the CEO of T-Mobile, the brand always promotes his tweets on twitter. 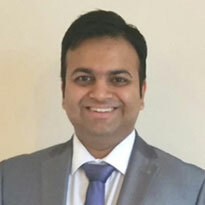 This provides T- Mobile a human element which the consumers love and connect with. Your website should always provide a pleasant user experience in speed and in various functionalities. Make sure that the visitors are able to access all the information and features on your website irrespective of the type of device which they are using. Your page should load as fast as possible because todays visitors have no time to wait around and look at the page whether it gets loaded. If the UX is not upto the mark you can expect the bounce rate to be through the roof. For feedbacks from your customers on your UX you can use the tool named survey monkey which will definitely give you the clear picture of what your customers like, what they don’t like and what they would change. Influencer marketing through social media is capable to be the most ROI friendly online marketing of 2016. Social reach of different influencers helps to position your services and products directly in front of your target market. The trust that is established between the consumers and the influencers removed the hurdles, traditional marketing and advertising will typically be facing. Social media is not at free anymore. Remarketing campaign is the latest trend moving on in the markets now a days. Every brand is running pay per click traffic and experimenting with the remarketing on some level. To stay in front of the competition in the markets and to reach more audience you have to invest money for social media marketing. All these are few of the marketing elements which I feel we should not ignore in 2016. I know there are many more to be described. But I believe my viewers will definitely help me out to increase the list of elements. You just have to let me know those elements in your comments.